I would like to THANK Brandon and Louis for doing a great job getting my home SOLD!!! I was an out of state owner renting my house in Colorado Springs. I decided to sell my house and interviewed several Realtors to help me with the process. The Innovative Group made the best presentation, which included visiting some of the houses in the area that would be my competition. I decided to list with the Innovative Group and my house received an offer the first week it was on the market. Brandon and Louis did a great job coordinating service companies to make the necessary repairs for me since I live in Texas. I was in constant communication with them. All calls and emails were returned immediately. 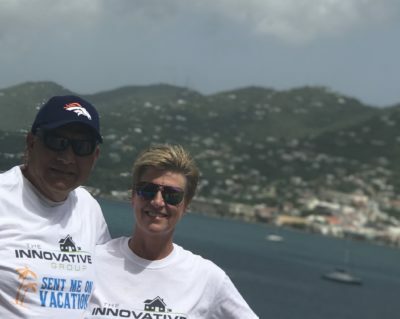 If you are looking for a Real Estate Team to assist you with your Real Estate Needs……..I HIGHLY RECOMMEND THE INNOVATIVE GROUP.